Birdman is accused of using the social media version of "The check's in the mail" to blow off Lil Wayne's producer who is now suing him for a fortune. The producer -- who goes by DVLP -- had his people make various demands that Birdman and Cash Money cough up $200,000 for work he did on albums for Wayne and other artists. Birdman's response shows the new frontier in blowing off creditors. Forget a lawyer's letter ... Birdman is all about texting DVLP to hold him at bay. 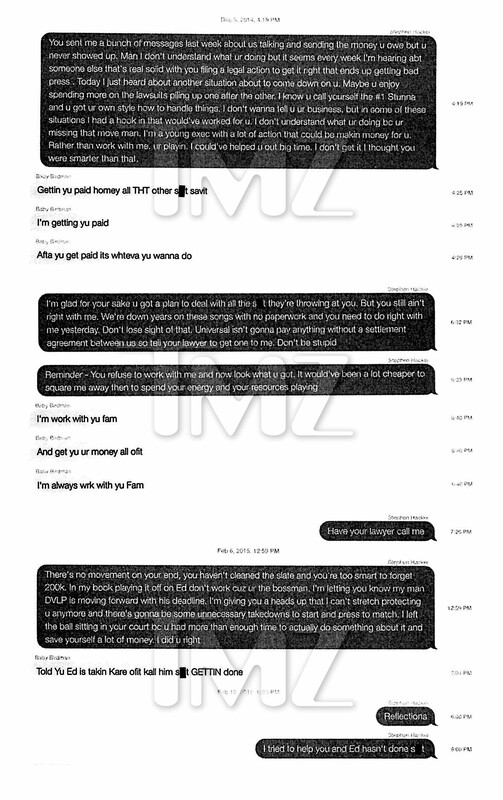 -- "I'm getting yu paid"
-- "I'm working with yu fam"
-- "You gone get tht 200k"
Apparently it didn't, because DVLP is taking it to a judge. 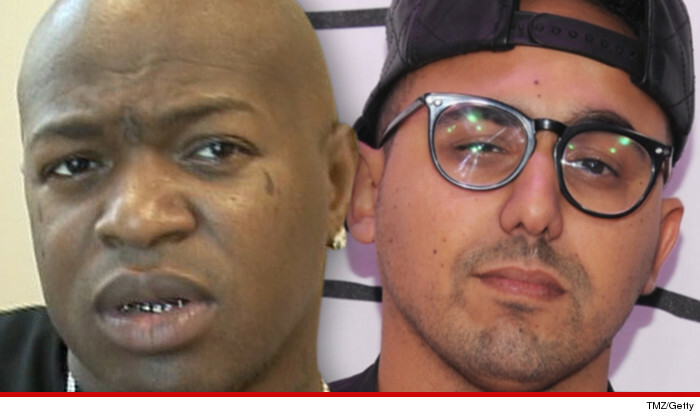 Birdman -- I Had Nothing to Do With Lil Wayne Bus Shooting ... And He Knows It!! !